This special podcast is brought to you by Easy Equities and a warm welcome to Mark Ingham who not only is an Independent Investment Analyst, but runs a couple of portfolios, the Pink Bright and the Pink Blush on the Easy Equities platform. Mark, how has it been going with those two? Yes, I think a bit of up and down. We’ve had some choppy markets. Probably one of the best performers of late in the basket has been Bidvest and in fact, just looking at the performance over the last while, I think since the unbundling from Bidcorp, and we can get onto that shortly, but certainly I think people looking at Bidvest on its merits now, independent of the food service business, so that’s been jogging along fairly nicely and I think probably outperforming over the last good few months. It wasn’t that long ago, Alec, when you could buy the stock for less than R150 and we’re now trading at about R165. We’ve had a mixed performance out of Aspen and I think possibly one of the better performers has been Naspers (I know that’s a favourite of yours). MTN has been a little disappointing, but we have a new CEO at the helm there now, Rob Shuter, and I think there are some interesting prospects. Also, what’s quite interesting, Alec, if we just look at the demographic of the purchases, you know males do seem to outnumber females insofar as those purchasing the baskets of concern, but interestingly the average age of both male and female purchasers of the basket is 35 years of age, so relatively young but people clearly who have moved on in life, who are probably well-entrenched in their careers and so forth, and looking to spend their money hopefully wisely. A mixed pattern over the last while and I haven’t made any changes to it as such and that’s largely because of the long-term nature of the actual basket. Well, I’ve made a change to mine and we’ll talk about that in a little while, but let’s just dwell a little bit if we can on Bidvest. I looked at Bidcorp when starting the BizNews SA Champions portfolio, remembering that this portfolio of mine is focused on South African companies that are doing well internationally. I don’t go with BAT and Glencore because they aren’t South African companies. These are pukka South African businesses and Bidcorp, it’s very rare for you to spend a day walking around in the UK, certainly in the area I live in London and not see a Bidvest van coming past you, so they’ve made a big impact here. You own Bidvest shares, are Bidcorp shares though (which is their offshore operations) looking attractive? I think so and in fact I think if you look at the relative ratings of the two stocks, clearly I think Bidcorp has got the edge and that’s partly because it is seen as a growth stock. You’ll have seen more recently that they have been acquiring bolt on businesses. They recently acquired a Spanish food service business and you’ll see ongoing bolt ons of that nature. The size will probably differ and interestingly you talk about South African companies spreading their wings successfully abroad, this is a company which generates 90% approximately of its profits outside of South Africa. You can invest on the JSE into a company such as Bidcorp and have a nicely diversified geography in your portfolio with a mix of currency drivers and that in turn mitigates some of the risk factors. I think despite the growth you’re getting, you’re getting a reasonable balance, so from a risk reward point of view, Alec, I would probably put Bidcorp among the better shares to pick at this point. Well thanks for that, I’ll be doing some homework and maybe when we talk again in a months time find enough of an attraction to swap the portfolio a little more. Just going through your two, let’s just look at those. Maybe to begin with we have two stocks in yours and mine that are the same. MTN’s been a disappointment for both of us. In fact, it’s been the biggest loser on my portfolio to date of the eight stocks there, it’s one of only three that’s gone backwards since January, what’s going on with MTN? Alec, you’re obviously well versed in the company as well. I think we’re still getting a bit of headwinds coming from their exposure to certain geographies such as Nigeria. There is an ongoing currency related risk there, not only from a reporting point of view, but also from a cash repatriation point of view. The latest Q1 update was actually quite promising. You had total revenue growing by 7% and you had data revenues growing by almost 30% year-on-year with data now about a fifth of that total revenue. Even in South Africa, which you could argue is an ex-growth market, we have some growth there too and despite the negative macros, MTN Nigeria is also showing promise with the Iran business also increasing revenue. So I think although there is quite a lot of negative news around the recent history that the company has experienced and of course, we’ve had management changes and some of these countries are in fact in challenging circumstances, but notwithstanding that, I think there’s a solid management team there and I think with patience and as you underscore, these are quality South African businesses that are taking a long run view of their markets and one can’t necessarily judge this by what’s happened over a quarter. In fact, it’s about three months since you and I last chatted. I still feel that there is real value in the stock at below R120 and so I think it’s been pricing a lot of negative news in. The dividend will be down this year, we know that, they’re conserving cash, but I think the underpin in the markets that they serve will probably reward us over time. Well, I’m with you on that one. Obviously, it is a long term play and certainly below R120 when we put it into our portfolio, just below R130, it starts looking particularly attractive. I went along to the Anglo American AGM because that was one again, for an SA Champion portfolio that did seem like it might have a prospect. I don’t like commodity shares, as we’ve discussed many times, they don’t leverage human potential, they’re more investments in inanimate objects, but after going to the Anglo AGM, I’m more than happy not to be invested there. You do though have a mining stock in your portfolio Sibanye, and there’s been big happenings on that side. Yes it’s been a rollercoaster ride on this particular stock to put it mildly and I underscore your view that mining is an inanimate type of business and there are only so many factors within management’s overall control. There’s a lot that’s external that influences your business and the economics of your business. Nevertheless, I think Neal Froneman takes a long view on the gold industry, the platinum industry. It’s quite interesting in the more recent set of operational results, a very positive performance coming out of the new platinum assets, they’re contributing fully now. In previous quarters that wasn’t the case. 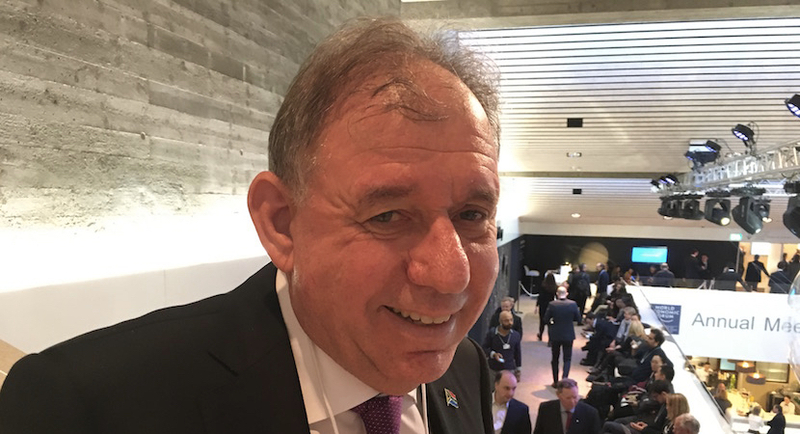 Sibanye took ownership of Aquarius in April 2016 and Rustenburg came in in November 2016 but now they’re fully contributing and they’ve been rolled into the Sibanye way of doing things, so the latest production numbers were reasonable and interestingly platinum is contributing quite meaningfully now to the extent of approximately a quarter of the reported profits. Increasingly this company is morphing into a rather different company to the one that we’ve known for a while now. Indeed the Stillwater deal is now done and dusted. It’s been concluded successfully and all we’re awaiting now is the rights issue which will be announced shortly. The degree to which they’ll be raising fresh equity capital in my modelling I’ve assumed $1.3bn and that’ll entail something of the order of 630-million new shares to be issued, but equally in the modelling, despite the fact that there is apparent dilution, given the quality of the assets that they’re bringing in through Stillwater, the low cost of operation and the intrinsic profitability of the business and the scope to improve it, there is not going to be EPS dilution, so I see this as a potential game changer for the business. Indeed it is and that deal done and dusted, as you say, yesterday afternoon they received the final numbers coming out of it. The rest of the portfolio, when you look through them, is there any news that we need to be aware of, anything that’s concerning you or indeed, exciting you? Look, I think let’s just go through one or two of them. Pick ‘n Pay came out with results recently, Alec, you will have seen those. I think a very solid set of numbers coming out of Pick ‘n Pay real growth at the bottom line. 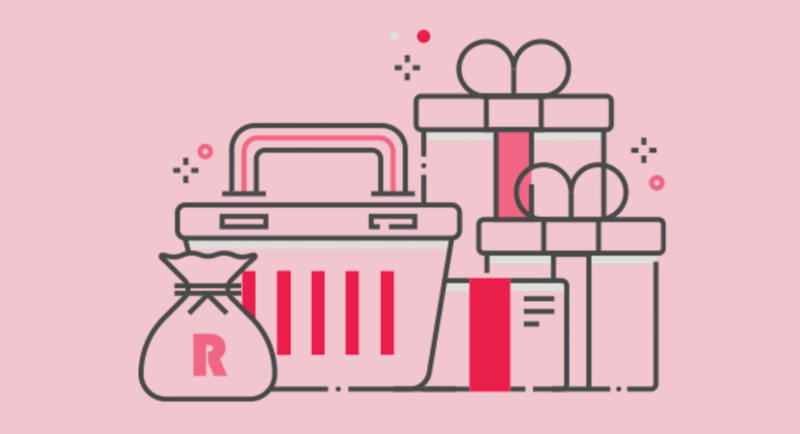 Although the top line is subdued, Richard Brasher and his team are very much working on getting the profitability up and that’s been one of the reasons why I’ve been quite bullish on Pick ‘n Pay, it’s a people factor. The influence that a particular person can have on shaping a business and I think Richard certainly fits that bill, he had a good career in Tesco, a name that you’ll be familiar with in your part of the woods there Alec, and I think he’s doing some good things. 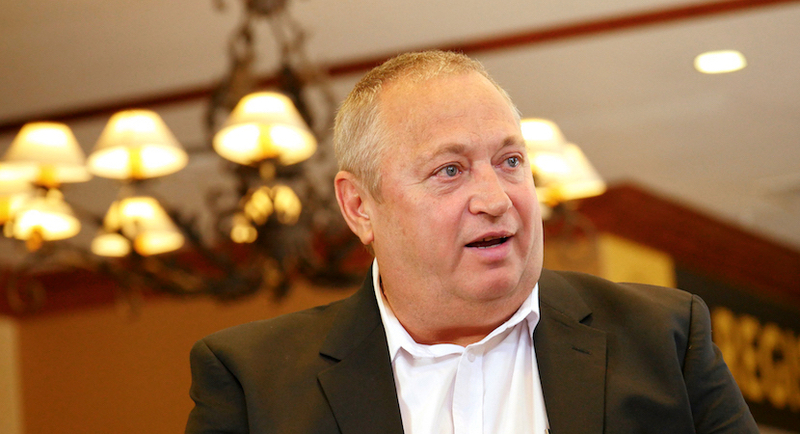 I see continued earnings upside from Pick ‘n Pay despite the difficult market. Generally I’ve been avoiding retailers for quite a long time now and this is one of the few retail companies that I felt confident being exposed to and I still see value in the company on a longer run view and I think given what we heard from the results, the refurbishments programme, the rising competitiveness of the company relative to some of its major rivals, I feel confident in keeping it in the portfolio for the time being. I think the one that has been a bit rocky of late is Aspen Pharmacare. 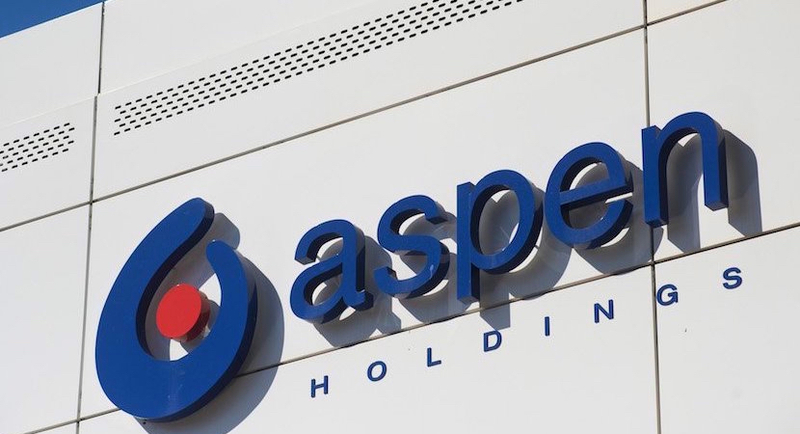 That stock has weakened of late, currently at around about R276, there has been some news around Aspen that may be construed as slightly negative, but I think that the underlying business remains sound. From what I’ve picked up, the operations are continuing to trade reasonably solidly and so I think again, patience is the watchword there, Alec. Mark just on Aspen, it is something that has hit the international media. Indeed, their troubles in Spain were over some of the investment news services here in the UK, what is actually going on there and is it bad enough yet for shareholders to start getting concerned? I think regulatory risk is something that I put into the frame. It’s something you have to consider when you’re investing in anything relating to pharma or indeed hospitals for instance. There’s always the overriding, I wouldn’t say threat, but these are industries that are subject to regulatory concerns, so whether it’s a Netcare, Medi-Clinic, an Aspen, any of these types of companies, there are certain regulatory factors I think that do come to bear. I think ethical aspects come to bear as well and there were reports in the press about Aspen exploiting laws with respect to drugs that had questionable pricing consequences. I think Aspen has rebutted that and we’ll see where that takes us. There are legal aspects, they have indicated the fact that the matters are not public at the moment and they will engage with the European regulators on an ongoing basis in this regard. The point that you raise, in fact, relates to a tiny percentage of their revenue and so is that’s sufficient to upset the whole apple cart? I think it would be very premature to make that call. It’s always been priced for perfection, so any little dip in the reputation or any little hurdle or bump in the road that they reach is perhaps for some people, a good buying opportunity. I think so Alec. Bear in mind that Aspen is a stock that’s widely owned by South African fund managers. The PIC of course has a fairly large stake as well and I think what’s also important is that management themselves have very much skin in the game. Steven and Gus have large percentage shareholdings relatively in the company and they’re very much committed for the long term. Okay, so that’s the Pink Bright and the Pink Blush portfolios, the BizNews SA Champions Portfolio, Mark I’ve done my first change following in the steps of Warren Buffett who says that if the circumstances, the underlying fundamentals change then it’s time for you to reassess and that’s the only time you buy all the shares forever. Interestingly enough before we talk about that, I’m not sure if you picked up this morning, but overnight, Warren Buffett has disclosed that he sold one third of his stake in IBM. That’s quite significant given that IBM was one of his big five shareholdings (he had $13bn in it at the end of last year). I’m not doing anything quite as dramatic as that, but with all the concerns that have been raised around Net1, as much as I think that there are two sides very much to the story, the contamination or contagion if you like that always tends to spread does go into associated companies and Blue Label is closely associated with Net1. Net1’s buying a big chunk of it, they together are going to be buying Cell C and I think that those troubles for me they just start raising risks and start raising flags that I’m no longer comfortable with. The other thing I’m also not that comfortable with is, Blue Label hasn’t done that well internationally and now that it’s going to be doubling up in South Africa, is it really an SA Champion in the global scenario, I’m not so sure? That was the concerns on that, however, on the other side we also have to look at our portfolios and try and find the best possible place to put our money, given that a lot of these portfolios people are investing every month and after our conversation last month on Naspers, I went and did a little bit more research into it and have to believe and agree with you that this is just so cheap. I think, as you said, if you just take the investment in Tencent, it’s “cheap as chips”. Well, what I’ve done then is sold out of Blue Label completely, it’s out of our portfolio, and we’ve doubled the share that Naspers has, so it’s one of our big five now, if you like. That’s super Alec. I think Naspers was a wise choice. If I look through your bundle and I think let’s just remind listeners that in buying a bundle as opposed to a basket, you’re very much picking the jerky here, Alec the fund manager, and it is within your remit to be able to tweak that bundle as you see fit, as any fund manager would do from time to time, have a fresh look and see how it needs to be rebalanced or which stocks possibly have to be looked at for inclusion. I think it’s a nice tight basket that you have there or should I say, bundle. I’m intrigued as well, Alec, about Medi-Clinic, which is a company that I also like and I think, went through a very rocky patch, but you stayed the course, you have the faith there. We saw some positive news recently coming out of Abu Dhabi, thoughts from you Alec on that and the scope for the company going forward. Well, it was a lovely rebound, it certainly helped our portfolio. At one point in time it was down in the R120s and we bought in at R133, now it’s just under R140 after that Abu Dhabi news. I like the management, I like the fact that there is a very concerted effort to acquire offshore assets, offshore now bigger than the South African operations, which is almost inconceivable if you think back five or so years and it’s a Rand hedge, a very high quality Rand hedge in a world where it’s invested where people will pay up for medical bills. Switzerland, of course the home of, or the Mecca for those who want to extent their lives and have the financial resources to be able to achieve it and in the Middle East in Abu Dhabi, where they have had a few regulatory bumps (but they seem to have got all of that sorted out now). It’s also a seriously underperformer, the Abu Dhabi business, it was one that they acquired in a very big deal recently, that they can turn around, so once that turnaround starts being affected I’m pretty sure that Medi-Clinic will be appreciated for the high quality company that it is, but it’s nice. It’s one of our big five in which we have 15% holdings and the good news there is that all of our big five in fact have done better, have appreciated since we bought into them in January, which is very unusual for me because usually they go down for quite some time before they finally start playing ball, but I think it’s a good discipline when this does happen to you, that you do your research, you do your homework, you understand what it is that you’re buying into, you follow it carefully enough to know if something changes, make a change in the portfolio as we’ve done now with Blue Label. In fact, today the transaction has been effected, so anyone putting money into the BizNews SA Champions bundle today will get the new look portfolio and indeed everybody who has the portfolio will also be following the same route. So it’s served me well that strategy, do your research, focus, hold for the long-term, and when something does go wrong or when you start sniffing it and you start seeing that there’s a fundamental change in the business, then get out and we did that in the Global portfolio, which has been going for nearly three years. I’ve only made two sales and there it was Novo Nordisk, when you could start seeing that things were not going the way that they’d been telling us and that one we got out in the forties and it’s now comfortable, it’s in the late thirties. That was some time ago, it was over a year ago, so not only has the rest of the portfolio done well, but you’ve managed to sell out of that and I did the same thing with Barclays in this last month, the last couple of months after the disclosures there about the way the CEO has not only been protecting one of his colleagues, but then trying to nail a whistleblower, and I think that the reaction of the board which was really to give him a little rap on the knuckles tells you everything about the culture in that organisation, that they haven’t changed the culture in the way that they promised they would and thank you very much they can keep somebody else’s money as a consequence. That’s the way I look at these things. Well, you know, that people factor again is very important. In fact, going back to the hospital group, Medi-Clinic I had the advantage along with other analysts and fund managers of spending some time with Danie Meintjies and his entire executive team in the middle of March and when you see that bench of capable people, you really have confidence in this business and where they’re actually steering it. Interestingly too, given that the, you called it, this morning, the Warren & Charlie show, I think we can learn lessons there too, that people do indeed matter. It’s quite interesting, Warren Buffett too has not been shy to exit certain companies that don’t need specific criteria for him, but by the same token, he also stays the course with those companies that he believes ultimately will deliver value over the longer term and have the people capability to actually do that well. Indeed, I suppose his best publicised sale was of Tesco, you mentioned it earlier, and that was not to do with Richard Brasher before anybody jumps to the wrong conclusion. In fact Brasher was one of the guys who could have fixed or made Tesco better but he departed there before, if you like, the people who sailed a little close to the wind. He must have looked at that and thought, “Let me go somewhere else to South Africa”. Interesting other point Discovery’s done fabulously well and it plays very much to what you were saying about the people factor, but it was interesting to see the financial mail this week speculating what happens at Investec after Stephen Koseff goes. I’d be interested to hear your views, but as it’s in my portfolio, just briefly to tell you that again, relying on Buffett, I love founders who stay in the business, I love the fact that Stephen Koseff is running the business. He knows every nook and cranny of Investec and in a time when the company is making enormous gains in the UK. I know in South Africa, things are a little more difficult, the market is not that easy, but in this part of the world, Investec is really expanding aggressively into an area where the opportunities are enormous and even in South Africa you have to be impressed when you deal with Investec and the level of service that you’re seeing from that company. They have strong competitors, but it is a business that – I would love to see Stephen Koseff running when he’s 86 and I think he’s only in his sixties now, but speculation that he might be leaving, what do you make of that? I think I would treat that certainly for the time being as the normal sort of speculation you’d get when people of influence have shaped a business and indeed, in this case, one of the founding fathers if you will. I think there is always that concern that at a particular point, where to from here, I think you’re right Alec, that Stephen particularly has been very much personally associated with the brand, it’s energy, it’s drive and so I think these questions do arise. Having said that, I think Stephen and his executive team are aware that a business is more than one person. There’s also a fairly deep skills pool within Investec and people who join Investec, Alec, tend to stick around. I think there is a particular culture that’s different from the big four banks that we have in SA or indeed, any of the High Street banks that you see around the world. Therefore, I think its niche offering has appeal. I think they haven’t overextended themselves, they know where they want to be and why they are in those particular markets and even in difficult times, even in times when arguably banking is very pedestrian, it’s also subject to those regulatory aspects we referred to earlier and in fact, regulation looms very large in these company’s lives. I still feel that Investec is differentiated enough, Alec, to prosper even in the event of some of these senior people leaving the business in due course, but he has a lot of energy has Stephen and my sense is he’ll be around for quite some time to come. He has, in fact, given over some of the day-to-day responsibilities to his lieutenant anyway in the last number of months and years and so it’s not just the one-man show and I would underscore your confidence in this business as an SA Champion. What I think the media misses is they don’t quite understand the culture there. It’s not like Stephen Koseff sits in an ivory tower, he sits in the middle of his team. He’s not a CEO in the front-page-of-a-magazine kind of frame, he’s much more a team member, and if you go into Investec and you get to know them, Stephen will argue with people in the same way as colleagues would argue. This isn’t one man deciding on the way that the business will go and when you’ve got that kind of collegial management team, you don’t want to lose one of your best players. For me it’s like when the old Northern Transvaal Rugby team was at its pinnacle, saying, “Well, Naas Botha’s been playing for too long, let’s get rid of him” kind of thing, it would have been unthinkable and in the same way with the way Investec is structured but people are allowed to have their views and they must get the speculation going, but I surely hope that the investors in Investec know that this is a company that will only benefit from having Koseff and indeed Bernard Kantor, who is doing such a fabulous job in the UK. That’s true Alec and that creative tension that you referred to is very much its stock in trade and I’m told that sixty is the new forty, Alec, so that probably suggests that Stephen will be arguing for quite some time to come yet. Indeed, Mark as always good chatting with you, nice to see the portfolios are steady as they go, certainly from the BizNews SA Champions portfolio after costs, now it’s showing a little bit of an improvement, a little bit of a return, not big, 5%, but we can live with that as it is a portfolio that has been purchased for the long term and it’s exactly the same with the Bright and the Pink Blushes isn’t it? You’re there for the long term and anybody who wants to try and trade in and out would probably be better advised to look elsewhere. I would support that Alec. Mark Ingham is an Independent investment Analyst and this special podcast was brought to you by Easy Equities.